Aug 1 Proof… Lil Uzi Vert Worships Baphomet, the EVIL Sabbatical Goat! Except this lost soul… Lil Uzi Vert. Push him to the edge; all his friends are dead for a reason. 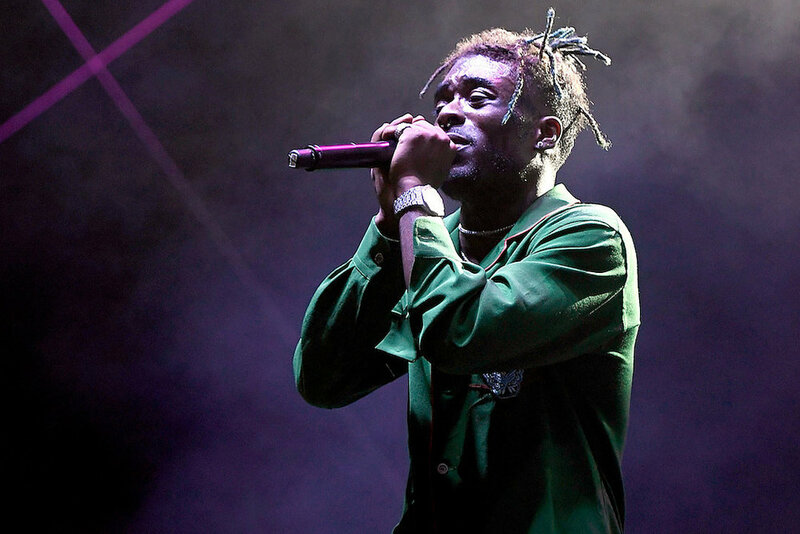 Recently, Lil Uzi Vert has been coming under fire by fans & religious leaders after strange comments & actions. During a sold out concert, the popular artist revealed to concert goers what most already suspected, & he himself broadcasted earlier this year. “...Obviously, all y’all mutha f*#%ers going to hell right with me. Let’s get it (crowd begin booing). Oh, you’re already here. I’m so sorry, you can’t get out. You’re stuck. It’s over. You heard the song a million times & you didn’t even know. That's f*#ked up,” boasted the EVIL soulless rapper. According to a trustworthy source, Lil Uzi Vert ultimately traded his eternal soul for riches of the earth. The pact he made with Baphomet, the EVIL Sabbatical Goat, involves him leading innocent followers down the path of ungodliness. Uzi also prays to a golden idol, which has his recording contract, a blood stained cloth & satanic symbols beneath it. In exchange for approximately 7, the number of completion in the bible, years of fame & fortune, Baphomet requires LUV to crossover a mass number of souls. The anonymous source continued to reveal that Vert plan to persuade his loyal fans to commit mass suicide in similar fashion as the Heaven’s Gate Cult led by Marshall Applewhite. Climb on The Family Tree below & share your thoughts about Lil Uzi Vert’s EVIL worshiping situation. Aug 1 Ms. Juicy the Cougar is dating a Young Hunk!